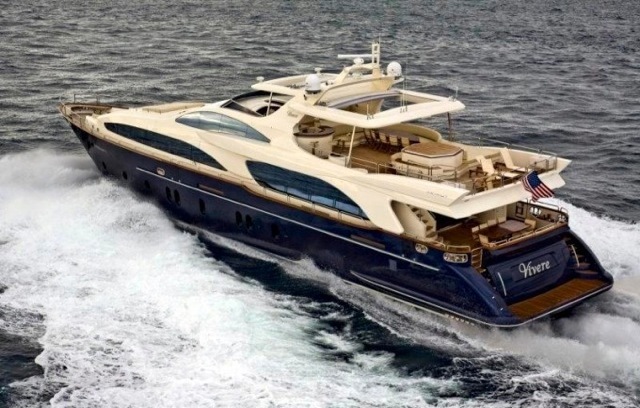 This beautiful Azimut 116 luxury motor yacht, VIVERE, is ideal for New York yacht charter for up to 10 guests in 5 cabins. 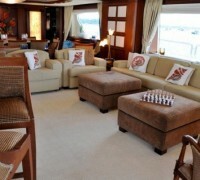 Her interior blend of light carpet and dark furnishings create a comfortable and luxurious feel. 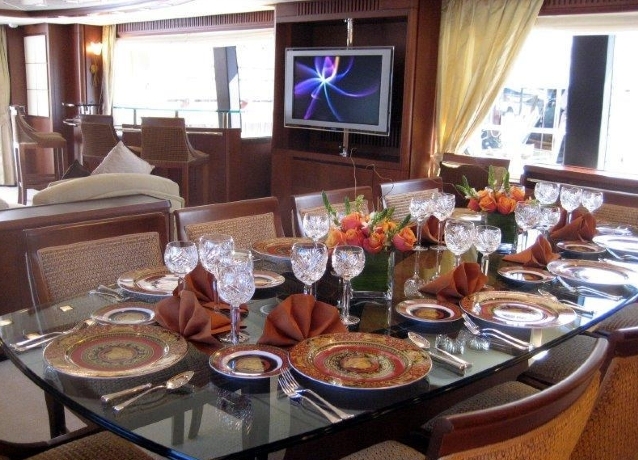 Her large dining area outside on the main deck, provides enough space for all passengers to sit and enjoy their surroundings. 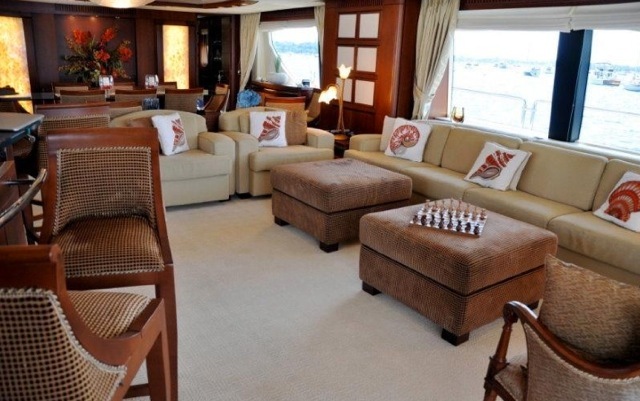 Accommodation wise, there is a Master King cabin on Main deck with large windows, ensuite marble bathroom, Jacuzzi tub and separate shower. 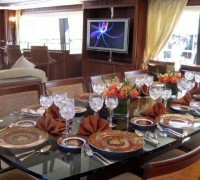 Below Deck there are 2 Queens, 2 Twins, which are both very spacious. 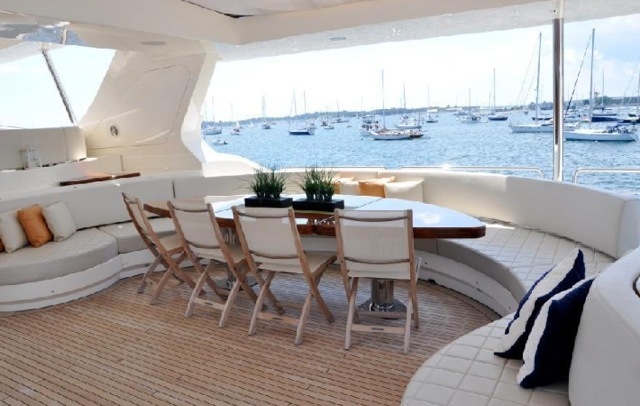 On the top deck is a large dining table with settee seating up to 12 under 2 retractable sunroofs, custom Jacuzzi spa and drinks bar. 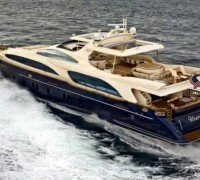 Don’t miss this opportunity to charter a fantastic Azimut, VIVERE.